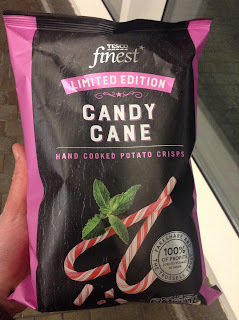 Described as "candy cane flavour potato crisps" and costing £1 these are available from most large Tesco stores, along with more savoury flavours like Pigs in Blankets and Pulled Pork. They're suitable for vegans, and 100% of the sales will be donated to Fareshare and The Trussell Trust. Opening the bag, they smelled as you would expect: vaguely of toothpaste and not very inviting! They tasted pretty horrible. 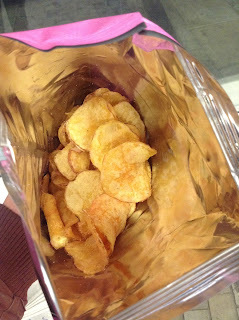 The flavouring is just a sweet, sticky minty powder, not the sort of thing anyone wants on a crisp. It's just wrong! 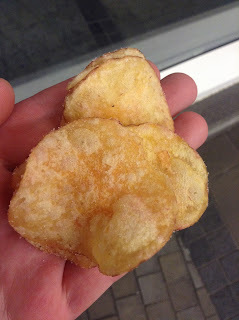 They tasted very sickly and unlike the Kettle Chips Salted Caramel, weren't very moreish at all. A waste of £1, but nice to know that it's at least going to charity. Nutrition Information (per 25g): 130 Calories, 7.2g Fat, 14.7g Carbohydrates, 1.1g Sugars, 1.4g Protein. 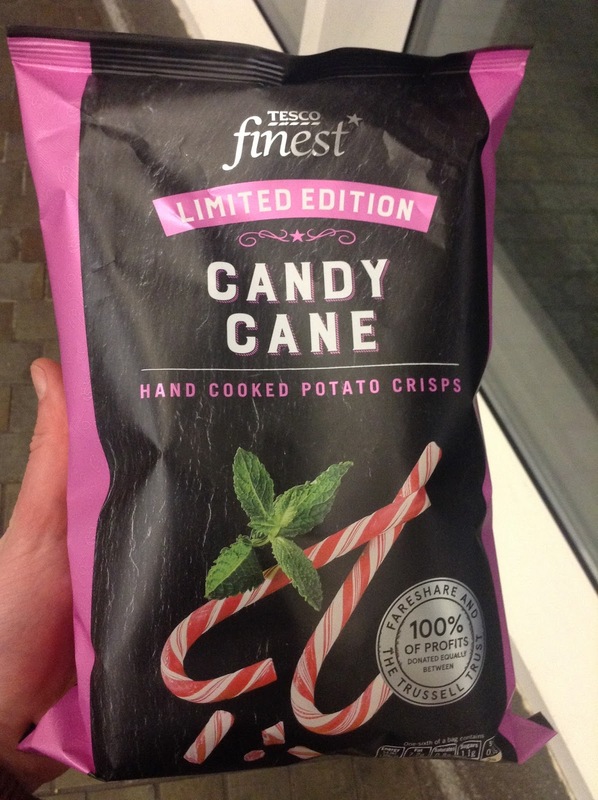 Ingredients: Potatoes, sunflower oil, candy cane flavour seasoning (sugar, dried glucose syrup, salt, colour beetroot red & paprika extract, flavouring).